The prospects of becoming a home owner in Kenya can be very daunting especially if you do not have the money required to make your dream come true. It is in such instances that potential home owners consider the possibility of approaching a third party to get the finances they need to back their dreams of home ownership. Borrowing is not easy but a good option in such cases. 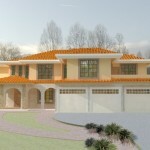 There are different kinds of house plans in Kenya that you can choose from. Selecting the right house plan is one of the most significant decision you will make in your journey towards home ownership. Generally, the layout that you select for your home will depend on your personal taste and needs. The building plans will mainly address how different rooms are arranged, how they flow and how they work together. You can either go for a bungalow or a multi-story building, depending on your style and your budget. Building Construction Consultants are important people for any one with intentions of constructing a building. These are people who manage how a building is being built, especially with regard to the kind of quality of the structure, materials used and the whole element of building projects. Most builders think that they really don’t need consultants in their building process and that they can handle the entire plan on their own. This is as risky as it may cost you all your savings.